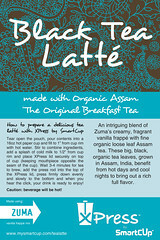 SmartCup, Inc. is serving up hot and tasty Tea Lattes during SCAA @ booth 452. 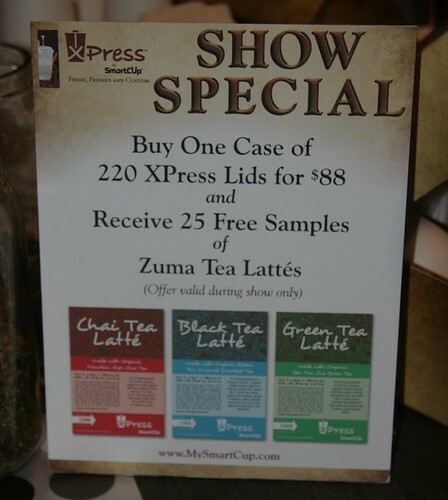 The firm is showcasing the extraordinary taste that is derived from using the XPress lid, the world’s first disposable, portable and recyclable French press in a lid. 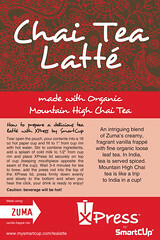 SmartCup is demonstrating how operators can offer patrons handcrafted tea lattes of their choice utilizing premium whole leaf tea. The XPress lid presses the tea with a mesh press that allows more of the tea to be in direct contact while brewing versus other methods. Using a press enhances and maintains the tea flavor throughout consumption. 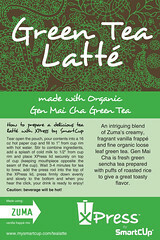 XPress lid combined with quality ingredients delivers a premium flavor in each cup. Apr. 19, 2011 (Business Wire) — The next new thing to discover about coffee might not be in the coffee cup at all. Every year, around the world, small-scale coffee farmers and their families face “the thin months” – months of seasonal hunger following the coffee harvest. In Central America, this period, known as “Los Meses Flacos,” starts just about now and can last for three to eight months. 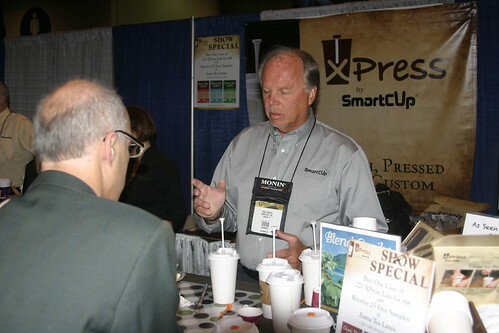 The SmartCup team introduced the XPress lid at the 2010 SCAA Expo in Anaheim, CA. 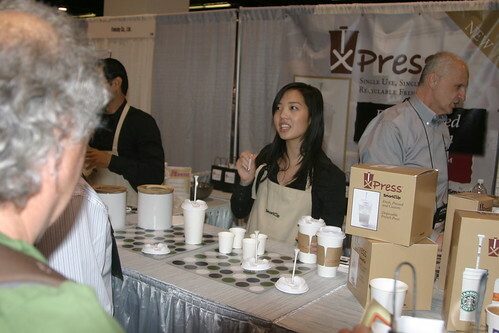 The crew showcased the single-use French press system. XPress is comprised of a disposable/recyclable lid, rod and press that will fit most standard 16 & 20oz. hot cups. 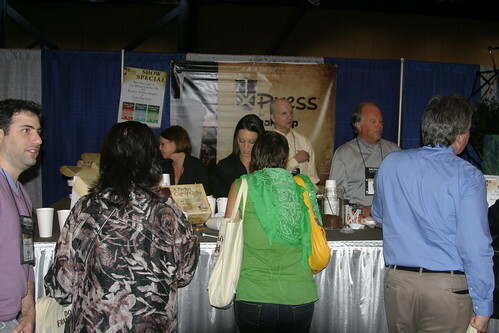 Click here to see the latest photos from the 2010 SCAA Expo located on our Flickr Gallery. 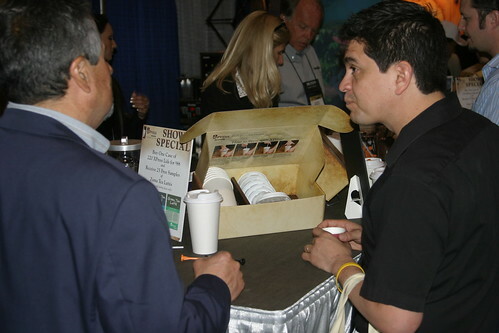 Coffee professionals crowded rhe aisles at the opening of SCAA’s 22nd Annual Exposition. More than 450 exhibitors occupied 750 booths situated within the friendly confines of the Anaheim Convention Center. 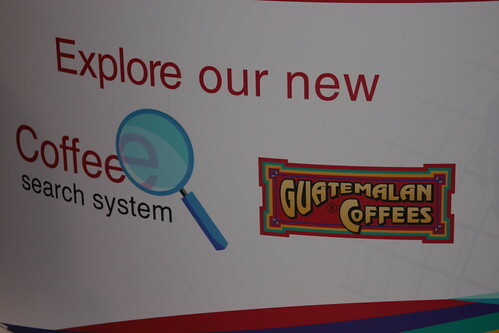 Guatemala was the SCAA’s portrait country this year. The country boasts 90,000 coffee growers and a thriving coffee infrastructure. Specialty coffee…from seed, to roaster, to barista, to cup-it is the crop that bonds us together as a community. 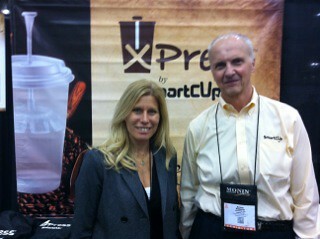 XPress Lid by Smart Cup provides the ultimate delivery system to enthusiasts of great coffee. The portable single-use French press provides premium coffee in a to-go hot cup.